Most people enjoy stuffing! Everyone but my son that is! Hard to believe, isn’t it? 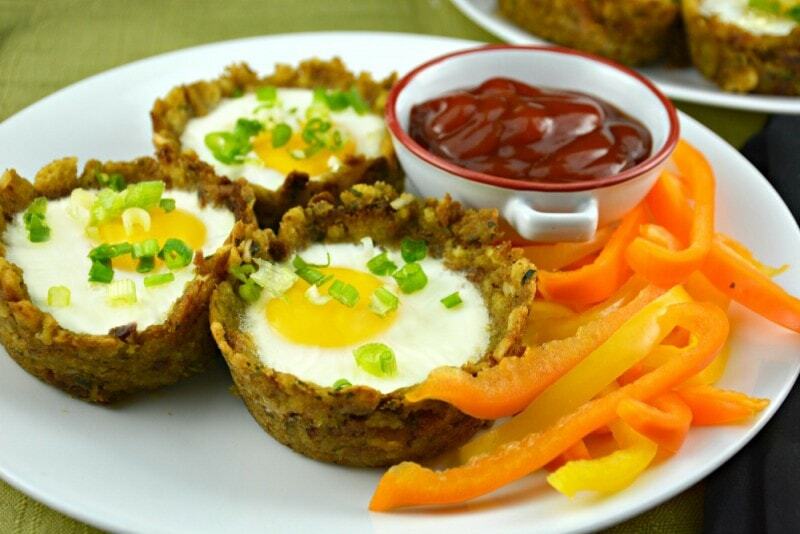 These Easy Stuffing Egg Muffins are such an easy way to prepare morning breakfast or brunch! Truth be told I have even made these for dinner! 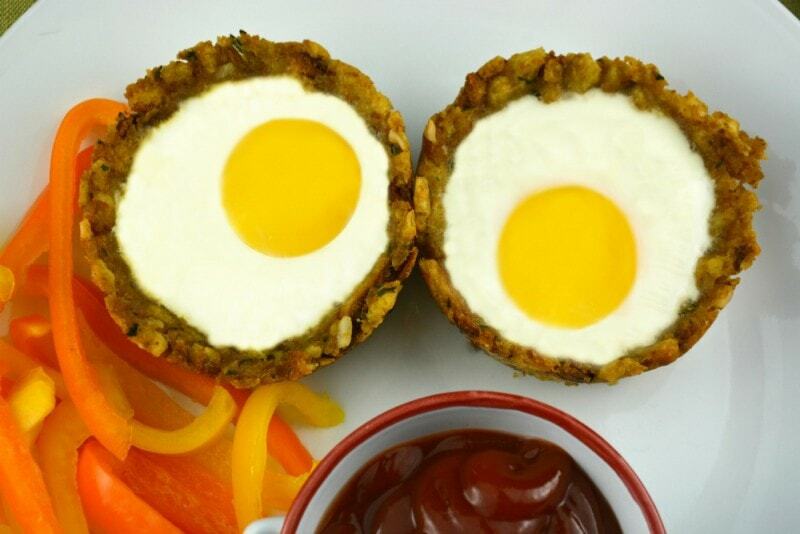 I love an over easy egg myself and I have to tell you that the stuffing tastes so good with a little yolk! No need for bread or anything else! Never any leftovers or complaints! You can use cheese or not. Depending on what you feel like or who you are making them for! The great thing about this Easy Stuffing Egg Muffins recipe is you have so many options! Kids love these because they can each make their own. Even crack their own egg! My son used too love to do that! 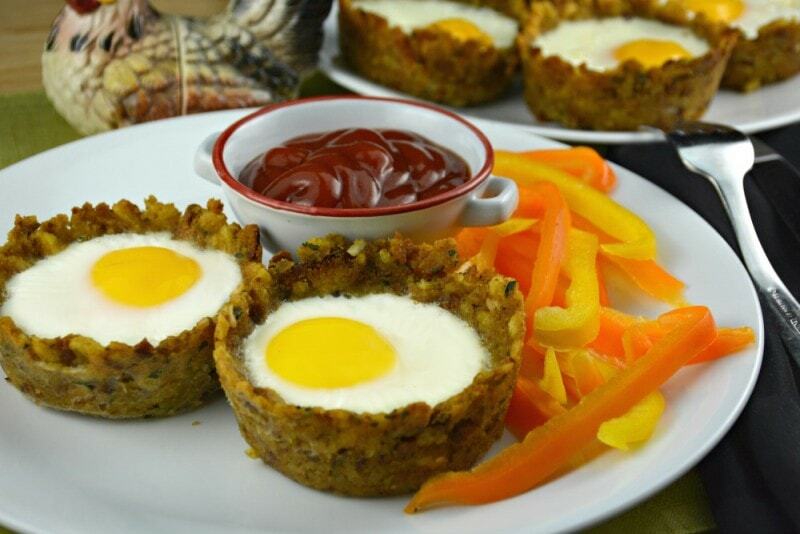 These Easy Stuffing Egg Muffins are a great recipe to have around. Fast and fabulous! 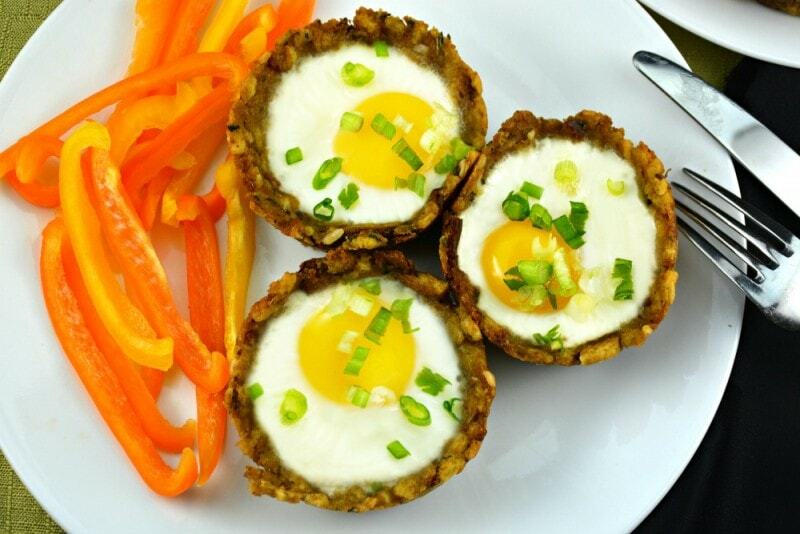 In a pinch this the perfect dish to start your day or even end it! I LOVE breakfast for dinner days! I can’t be the only one who does this. Can I? I also make another version of these Easy Stuffing Egg Muffins called Easy Western Stuffing Egg Muffins as well and I included the link. The reality is with the Western version you truly can include anything you like. My husband used to refer to it as the omelet version and myself, I thought of them more as a fridge cleaner!! Typically I used whatever I had in the fridge at the time to make them! Take a peek at our video below to see how easy these are for yourself! Before you make the stuffing you need to have everything else ready to go at your workstation. Get your eggs and cheese ready. If you are using scrambled eggs, make them. In a medium sized bowl combine your eggs and milk. I sometimes sprinkle in some salt and pepper. Use a whisk or fork scramble the eggs. Add a pinch of cheese to the bottom of each cup. Then, crack an egg into each cup or scoop some eggs that are scrambled into each cup. Bake for about 20 minutes if you are just using cracked eggs. If you are using scrambled eggs, remove from oven at the 20 minute point, add some cheese if desired and return to oven for about another 5 minutes or eggs are done to your liking. If you used scrambled eggs, use a toothpick to confirm that the eggs are done. The toothpick should come out clean if eggs are cooked. The scrambled eggs will also form a sort of dome that looks cooked at the top, in the middle, when they are done.